A great read! There are many tremendous suggestions at how to deal with divisiveness among your team member. The lone survivor of a shipwreck washed up on a small, uninhabited island. He prayed feverishly for God to rescue him and every day he scanned the horizon for help, but none came. Exhausted, he eventually managed to build a little hut out of driftwood to protect him from the elements and to store his few possessions. 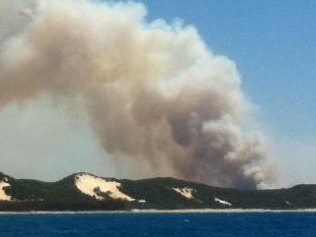 But one day, after scavenging for food, he came home to find his hut in flames, the smoke rolling up to the sky. The worst had happened; everything was lost. He was stunned with grief and anger. Early the next day, he was awakened by the sound of a ship that had come to rescue him. “How did you know I was here?” asked the weary man of his rescuers. Have you ever had something you’ve cared about or worked for stripped away from you? Our perception of what is good for us is often flawed. Many times it’s rooted in feelings of inferiority or fear, so much so that we may even cling to inhabiting an island that we know isn’t healthy for us. Human beings have acute short-sightedness when it comes to seeing the big picture. Loss equates to great pain and, if you put your “vision lenses” on, great gain. Something or someone is being purged out of your life for a reason. We scream out in anger and frustration to God because we don’t understand why. Thank God that, despite the fact that we think we know what’s best for our lives, there are greater forces at work advocating for us whether we appreciate it or not. We’ve all heard the term guilt by association, but can we be successful by association? The truest leaders are constantly giving of themselves. My father, the late, great Charlie “Tremendous” Jones, said “You are the same person five years from now that you are today except for two things: the people you meet and the books you read.” Some take this to mean that if I spend five years reading books on becoming a millionaire then I’ll become a millionaire; and if I associate with successful people for five years I’m going to become one. Success is not assimilated. When you rub elbows with the rich and famous, none of it actually rubs off on you. You still have to earn it for yourself. It’s just that the vision, and the council, and the motivation are around you so the chances of you accomplishing YOUR goals are much greater than if you were not in the presence of greatness. The whole premise of success is to give back, and not to continually leech off the reputation or contacts of the people you are associating with. Riding on someone else’s coattails and name dropping are just as despicable as stepping on someone to get to the top. Humility is the ultimate sign of greatness. To truly become first, you must become last, not simply hang out with those in first place. So make sure your motives are self-examined. There is no doubt that who we hang out with impacts us. But we really should be doing some of our own impacting, too, which is why we should never make associations about ourselves, but rather ask ourselves what our associations can do for others. So you hate your job. Of course you do! How do I know? It’s the nature of the beast. There’s a reason for it. My father, the late Charlie “Tremendous” Jones, said “God never made a job that would make a man, but he made any man who could make a job.” This is a scary statement because it puts the burden squarely on the shoulders of the individual and not on the company, boss, or co-workers. Was my father saying that if I hate my job what I’m really saying is that I hate myself?? No job is worthy of anything. It’s just a title, a line on a P&L sheet, a job description, but what makes it come alive and have value is you. 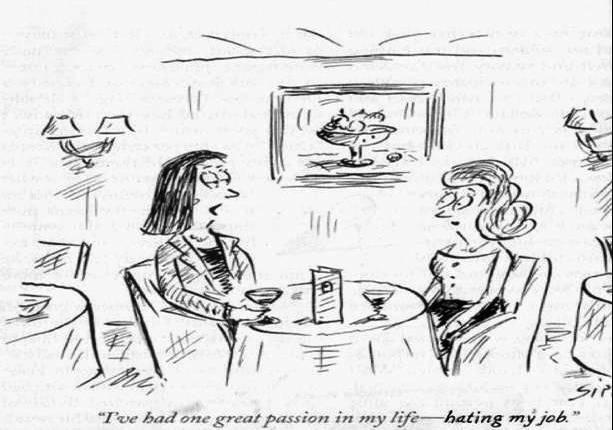 So if you hate your job, let’s be honest. It’s simply that you just don’t care enough to make it come alive. 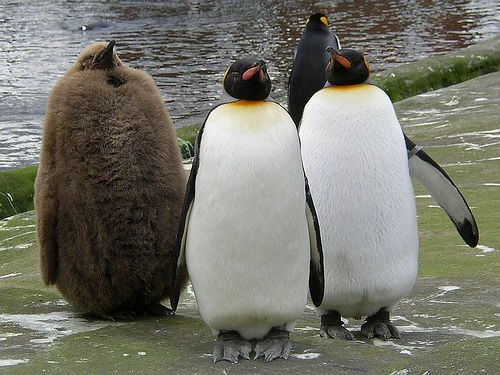 The workforce is filled to the brim with employees billing 40 hours of bitching and cyberloafing. The cost of disengagement is staggering. How do I know this? I’ve worked alongside—and even worked for—many people who hated their jobs. I knew this because of the way they sloughed off dealing with problems, trying to build succession plans, and spending most of their time building silos to protect their turf and friends or family members. If they loved their job, they would have been man or woman enough to actually make it. Growing up in various career fields, I remember asking my father why I continually found that the harder I worked the more people within the organization seemed to work against me. He said, “You can either work for someone else, or you can work for yourself. But as long as you work for someone else, this will always happen.” Oh no!!! Again with putting the responsibility for my professional happiness squarely on me!! Your job has nothing to do with your idiotic boss, or the lame process-improvement team you just got assigned to. You can’t get anything out of any job. You can only put things into it. It’s all about what you can bring to it. There will never be a job or a boss or a title that truly credits, sees, and reflects all that you do. Work is about growing and giving back, not about what you can get out of it. It’s meant for you to grow, and take risks, and be thrown under the bus, and get back up! Man, that’s tough! No wonder we hate it! In some countries, workers don’t get the choice to decide where they want to work. In America, we do. This Right to Work comes with the rejection of victimization, and the embracing of the personal responsibility for one’s own state in life, and that goes for professional, not just personal. My father also said, “The best way to get a better job is to do a better job.” If we are serious about growing and giving back, we will always strive to do a better job because it’s the right thing to do. And if you get to the point where you are not able to do, or actually get penalized for doing, the right thing, it’s essential that you move on to a job where you can. Looking forward to this tremendous read honoring a man of conviction. Today is Dietrich Bonhoeffer’s birthday. Today I’m honoring his memory. How much do you know about this remarkable man? He was a courageous Christian pastor in Germany during the 1930s and 40s who resisted the Nazi attempt to take-over and apostasize the Church. Bonhoeffer was deeply committed to resisting evil, standing for the Truth, teaching the Word of God, preaching the Gospel, rescuing Jews. What’s more, he secretly discipled young pastors in Germany to do the same. One of Bonhoeffer’s most powerful books was, The Cost of Discipleship. I read it in college and it had a profound effect on me. April 1945, he was hanged for participating in a plot to assassinate Hitler. 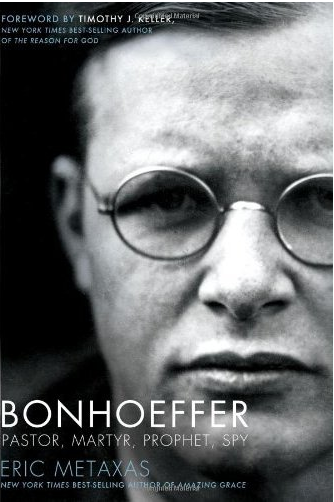 I’m currently reading Eric Metaxas’ riveting book, Bonhoeffer: Pastor, Martyr, Prophet, Spy, and highly recommend it. If you can go hear Eric speak during his 10-city “Bonhoeffer Tour,”I’d encourage you to do it. The tour begins this Friday. Alabama’s lawmakers understood the power of literacy. They knew that it was a gateway to human liberty; therefore, they forbade it. It’s been 148 years since such laws were abolished, yet many of us “choose” not to read. We give up reading after we finish school. This is a travesty. The old adage, “knowledge is power”, is even more relevant in today’s information-based society. Reading is the key to our success as individuals and as a nation. 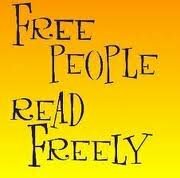 Not to exercise our right to read is like choosing slavery. Reading is the one vehicle that propels our lives forward. Reading is the spark that ignites the cylinders of thinking, and powers the engines of expression and creation. Reading great books transfers knowledge directly to the heart and unleashes the will to act. Reading tremendous books inspires provoking thoughts, which lead to understanding, happiness, and achievement. It works like magic. History bears testimony to ordinary people who accomplished the extraordinary through the magic of reading. People like Abraham Lincoln, whose formal education consisted of only about a year’s worth of classes. He was a self-taught man who used the power of books to succeed. Read! We still have 333 days left to accomplish tremendous things in 2013. We can make a difference. We can change ourselves and the world one book at a time.